What is the Best Drain Cleaner for Hair? - Frugal Living, Coupons, and Free Stuff! I know many of you will sympathize. Even though I have more than one bathroom in my house, I live with three women who like to use my sink and the master shower. The minimum length of their hair is a shoulder on down. Everyone brushes and blow dries their hair over my sink. It got to the point I needed to remove the drain trap under my sink every year in order to get the drain flowing again. Everytime clean the hair clumps from my bathroom sink drain, I remember what it’s like to have running water go down the drain quickly. It’s not completely their fault. According to StyleCaster, the average women lose between 50-100 strands of hair per day. In some cases, up to 150 per day. Wow! Even though I lose my hair too, mine is at most an inch long which is less likely to clog a drain. I’ll show you below on how to clean out the drain trap, but it’s always good to also have a bottle of Drano Max Gel on hand to be preventative. I’m going to discuss what is the best drain cleaner for hair and soap clogs in my sink and also the best drain cleaners for hair clogs in my shower. You can remove the pipes easily under your sink but it’s not convenient to remove the U-pipe in your shower. I only discovered this recently as I was perplexed. My shower drain was literally flooding the shower from the moment I turned on the water. Then I started getting grossed out when I saw hairy clumps floating up from the drain. Yuck! I had to figure out how to unclog a shower drain with standing water. The best rated drain cleaner for hair clog removal in liquid form is Drano Extra Strength. It’s a good go-to solution. The best thing you can do it to keep hair out of your shower drain. The TubShroom is easy to use and maintain. It will also prevent a smelly tub drain as the hair gets caught. The TubShroom will stop drain odor from occurring over time. 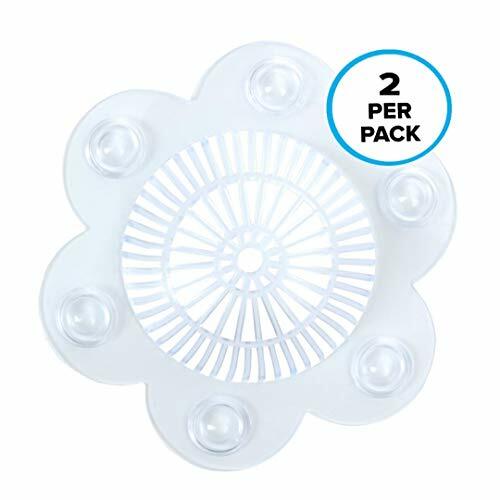 It’s not the perfect solution, but to prevent hair in your shower drain, I recommend Stop-A-Clog Drain Protectors to keep hair out of your drains. Traps hair to prevent drain clogs. Designed to fit over flat and open shower and tub drains. 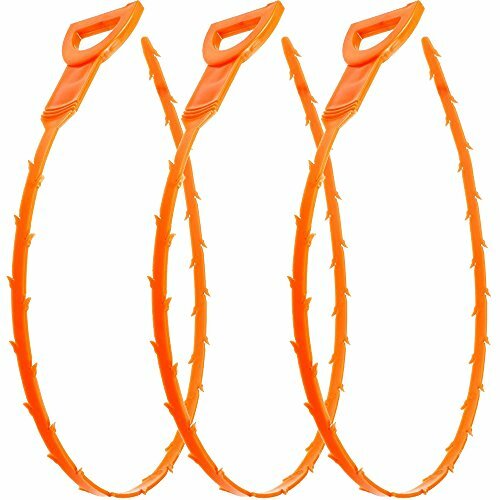 2 Stop-A-Clog hair catchers per package. The best, but dirtiest way to clean out your sink drain, is to remove it and clean it out. I do this annually for all our daily sinks in my house. Over time, it becomes the stinky bathroom sink. Decomposing hair has a bad sewage smell coming from the bathroom sink. The best remedy to remove the smell and odor is to remove the pipes and clean them thoroughly. If you have old metal pipes under your sink, be cautious. I’ve had two different metal pipes under two different sinks break and shatter when I tried removing them. If you have plastic pipes or PVC pipes, then you don’t have to worry about this problem. Wear gloves and hold the pipe firmly with a towel when you are using the wrench to separate the pipes. Be forewarned the metal may break and you will need to run to Home Depot or your local hardware store. My shower is a different problem. I needed to clean my smelly shower drain. My shower drain was clogged with years of hair and shampoo products. I tried using the plastic snake drain hair tool but it wouldn’t fit in the drain holes. What do I do now? I then tried a natural drain cleaner for the shower. Instead of using harsh chemicals to unclog my drain full of hair, I first tried a natural drain cleaner of baking soda and vinegar for PVC pipes. Some places suggest mixing the baking soda and vinegar together and dumping it quickly. I had the best results by first dumping ½ a cup of baking soda in the drain then pouring ½ a cup of vinegar. This allows a better chance of the bubbles getting closer to the clogged debris. It’s a very cool science experiment. Here’s a video on how to use baking soda and vinegar to unclog a drain. For me, it worked for about a month, then my drain started clogging again. The bubbles must have loosened up a bunch of crud because the drain started bringing up random clumps of hair. I went to my basement and got my basic toilet plunger to loosen up the drain. It’s the same concept as a clogged toilet. What I didn’t realize is I have one of the “newer” toilet plungers with a cone nose. I then discovered the hydro pressure plunger with a wide plastic cup on the bottom. I simply put it over the clogged shower drain and pulled and pushed on the handle to force air in and out of the drain. I did it several times, then lifted it to see a bunch of hair, buildup, and grime that was clogging the drain. Do not wash the grime back down with the shower water. Get some paper towels and wipe it up then rinse the floor with water. The hydro pressure plunger is the best hair clog remover I’ve ever seen. I was so impressed and it was so portable. I took the plunger around my house and used it in all my bathroom sink drains and shower drains. Here’s what came out of my sink that wasn’t smelly and clogged with hair. 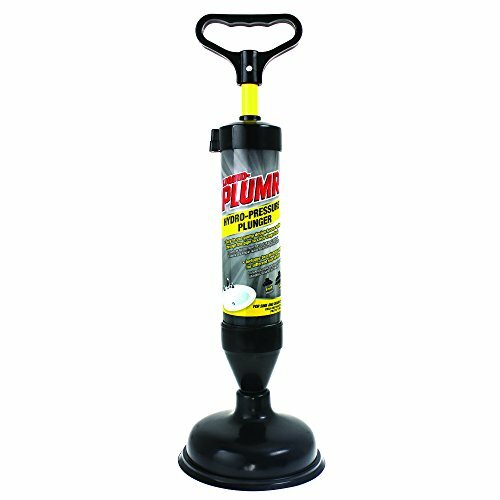 Instead of repeatedly buying natural drain cleaners, harsh chemicals, or an expensive drain cleaning service, I am going to use the hydro pressure plunger every six months around my house to be preventative. It’s a one-time investment and costs about the same price as a basic toilet plunger. You may even notice your kitchen sink drain smells like sewage. Over time there could be food slowly gathering and decomposing with the bacon grease. If you don’t have any Drano Extra Strength around the house, then try boiling water to unclog your drain. Boil water in a pot or tea kettle to flush your drain. There is no guarantee it will unclog the grease blockage, but there is a chance it will improve it. It is best to use boiling water on metal pipes. If the water is over 175 degrees, it can soften your PVC pipes. You can also consider the baking soda and vinegar technique shown above. The best drain cleaner for grease buildup would likely be a plunger. Most people only think about using a plunger for a toilet, but it also works for sinks. If you have a double kitchen sink, be sure to plug the other hole with a rag or a sink stopper. Of course, the best plunger is the hydro plunger. It provides a lot of air power going in and out of the drain. Many of the newer plungers have a cone nose that doesn’t fit on larger kitchen drains or shower drains. 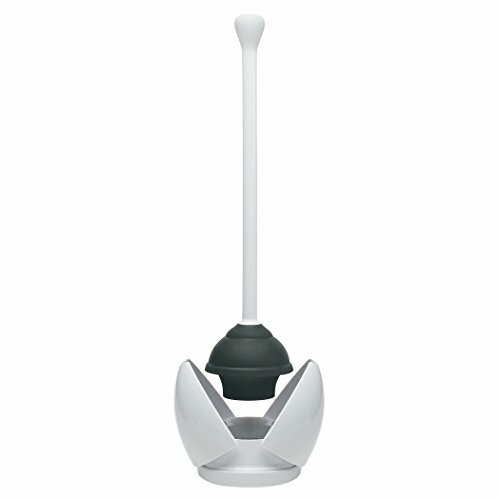 The hydro plunger has a wide cone that easily forms a seal on the opening of the drain. Should You Use a Snake Down a Kitchen Sink? A snake won’t fit down the disposal. The snake will likely get caught by the disposal blades. You may not want to use harsh chemicals top open your kitchen sink with sitting water. You put dirty dishes and your clothes in the laundry sink. It’s best to be preventive putting grease down your kitchen sink so you don’t get sitting water. If you keep putting grease down the kitchen drain, then you’ll need to call a sewage drain service. Sewer and drain cleaning buildup from grease and mineral deposits. When I make soup, I let it cool down and skim the grease off the top and put it directly in the garbage can. When I make bacon, I pour the hot grease in a tin can. Then I let it cool down and congeal before I scoop it in the garbage can. I always try to avoid putting grease in the kitchen sink drain. Most people use wet and dry vacuums for construction projects or when their sump pump overflows. An alternative use for the vacuum is to unclog your drain. Place hose in the drain and create a tight seal around it. Place the vacuum on the highest setting and turn on the power. Depending on the clog, it may not work, but it’s worth trying. I suggest either using a metal wire or electrical wire. Straighten out the wire and try putting a little swirl at the end of it to break up the debris. It’s fairly straightforward trying it down a bathroom sink or bathroom tub drain. It may be a bit more challenging getting it down the kitchen sink and getting around the disposal blades. Push the wire in and out in short lengths while slowly extending. You want to keep pulling out debris instead of pushing it deeper into the pipe. We have discussed many of the best drain cleaners for shower drain material types like metal, plastic, and PVC. Here are my suggestions on how to unclog a shower drain with standing water in order of ease and cost. We have a second list ohow to unclog a shower drain with standing water as it’s a different method. Plunger for Shower Drain. While most people think of a plunger for a clogged toilet, it can also be used for a clogged shower drain with standing water. You need to create a great seal between the floor and the plunger for it to be effective. If your drain has standing water, then that should not be a problem. The best plunger for kitchen sink, tub, or shower is a basic traiditonal plunger with a wide mouth or the pressure plunger we featured earlier. Unclog Drain with Hanger. A simple and cheap way to remove the hair and debris from the clogged drain is with something long and thin. The go-to is unclog drain with hanger or thick electrical wire. In either case, straighten out the metal hanger and bend a small hook at the end to pull the hair and debris back up. Once down there, be gentle and twice the hook to open the clogged drain. It may get caught on the stopper, but gently twist and work it around. Unclog a drain with a hanger is more effective for hair vs mineral buildup, like soap and hair product. Remove Shower Drain Cover. How to remove shower drain cover? Sometimes there is a screw in the middle of the cover and other times there are two on the outer cover. Once it’s removed, put on some gloves, and dig deep with you hands and a flashlight. Boiling Water to Clear Drain. Boil water on your stove and pour down your drain with a funnel. We suggest a funnel so it does not damage your expensive finish on your fixtures. Will boiling water damage your PVC pipes? Most tub and shower drains are metal pipes. The most sink pipes are PVC and rated to hanfle at least 140 degrees Fahrenheit. The glue on the joints are not rated to handle 212 degree boiling water. Boiling water to clear drain many times won’t cure a drain with standing water, but will be more successful on slow drains. Unclog Shower Drain with Baking Soda and Vinegar. First pour the baking soda down the drain. It maybe a bit difficult to get the baking soda through the grate of the drain. I use my hands and fingers to push the baking soda through the drain. Then, after a couple minutes, pour vinegar down the drain. You will immediately see it bubble and fizz up through the drain cover. Hopefully the banking soda will have worked its way through the clog when the vinegar reacts with it. Unclog shower drain with baking soda and vinegar is ideal for slow shower drains vs standing water. Drano for Clogged Shower. Read the directions on the Drano for clogged shower. When using chemicals to unclog drain, you need to follow the specific directions based on your type of clog.